The whole gun control debate misses the point: the guns aren't the problem. Psychopaths will kill people with anything they can get their hands on. "Making it harder" isn't a solution, just a stop-gap typed measure. Will it deter some violence? Perhaps. Will it solve the problem? No because of the aforementioned idea that the guns are not the problem. Do we really? I mean people make a big deal of owning "assault weapons". Could you imagine during the 18th century people complaining that the only purpose of a musket was for murdering, and they should be banned? If you have to defend yourself, use your rake, peasant! Well, if Native Americans had the same arsenal at their disposal as the U.S. government, this land might look a lot different right now. But by your logic, some rakes would have been enough to defend themselves. Unbelievable. The colonists traded guns to the native Americans for food all the time among other things. They DID have guns. Honestly, don’t have a problem with people owning guns, but why would anyone need a fully automatic weapon? No Clue... I'm simply aware that they exist. I could imagine honest people packing those to keep a whole mafia at bay would be tempting. Of course, the scumbags would just go after your kids or blow up your car, rather than face your machine gun. Which still probably says a lot. And the weapons took 1 minute to reload instead of being able to fire several bullets per second. That's what grape shot was for, take out a bunch out people in one shot. The blunderbuss was made specifically for this. As a matter of fact there were a few high-capacity firearms at the time, though I don't believe they ever became standard issue (at least not in the United States) until the mid 1800s, with the rise of more modern metallic cartridges. The puckle gun wasn't automatic though, the chambers had to be rotated manually and then screwed back into place for each shot. The handle in the back didn't rotate and fire each chamber like a gatling gun. Rather, it screwed into place to clamp each chamber into position, then would be loosened so that the next shot could be rotated into position by hand, after which point it would have to be screwed back into place. Additionally, I believe only a handful were ever sold, and I'm not sure whether any ever saw combat. Seems like a bit of a waste, but apparently people saw it as newfangled and impractical. It was also during an war were the British were coming over across the ocean to what is no America. 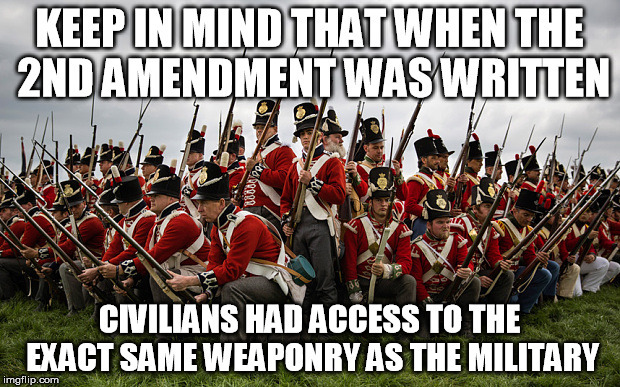 Also, they didn't have assault rifles back then that fire 100s of shots a second, they had single shot muskets that took a minute to fire. Great. There were X and Y differences between time periods. Now what is your point? That they didn't have automatic or semi-automatic weapons! That they couldn't mow down fifty people in a second! They allowed civilians firearms because of the war. No but they had cannons of varying sizes. Hundreds of shots a second? Get educated on this subject please. I'm sorry, but I don't waist my time learning about killing machines. But I assume you know ALL about them, If you can tell me I'm wrong. Like taleader said, it's just changes in time. It's not like the shooters have AR-15s and the populous has flintlocks. If we have the same ability to defend as our aggressors, it will be a lot easier for us to defend ourselves. The AR-15 Isn't even fully automatic, so it's not like it was made to mercilessly chop down defenseless children. One of the main reasons the AR-15 Was made was for home defense, right behind sport. I'm sorry, but removing semi-automatic weapons from law-abiding citizens will not remove them from the hands of criminals, and will therefore only make it harder for people like you and me to defend themselves. The sad part is I know barely anything about weapons and I can still tell you that nothing besides maybe a very high powered minigun can fire a hundred in a second. Imagine what a hundred rounds a second would look like! Think about how big that clip would be! I'm not asking for you to waste time learning all about something you probably don't want to be apart of, as that isn't what I've done. But when you think that a gun can literally fire hundreds of rounds a second, I know you're not educated on guns enough to have a say in what happens to them. there is estimated 100million gun owners in America......lets say it is half that versus the 500,000 combat effective units in the military........sure the government has tanks, and gunships, and jets, and drones. 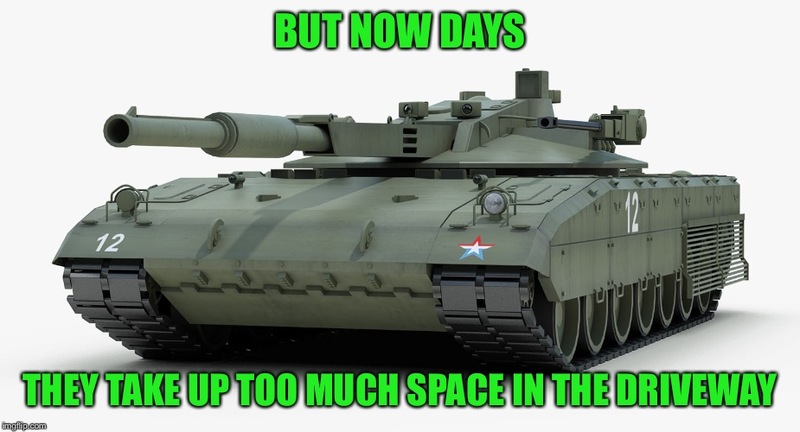 But those are unbelievably expensive, they cant mass produce them like they did in WWII.....and they are expensive to use, to upkeep, to get ammo for ect ect. also, most of it is over seas anyway. now would a lot of people die? absolutely! millions of people would die but that isn't the point. I don't see the point. 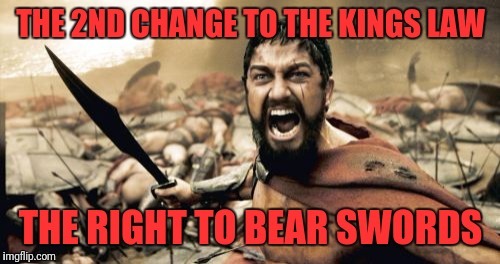 The establishment wants to TAKE AWAY those guns. And if we let that happen, all those estimations you threw out there would be way off.